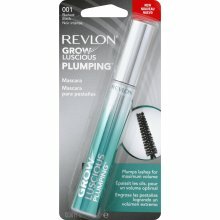 Revlon Grow Luscious Plumping Mascara is amazing! I have used very expensive mascara and inexpensive mascara. The expensive mascara usually works good but inexpensive usually doesn’t work at all. Until now! Revlon has managed to make a completely amazing mascara and it only costs around $5.00. Yes, $5.00! You have to try this stuff you will be pleasantly surprised and you will think you are using an expensive department store brand. Love it!